Just when you thought you caught em' all. Nintendo has revealed plans for eleven new Super Smash Bros. Ultimate amiibo. 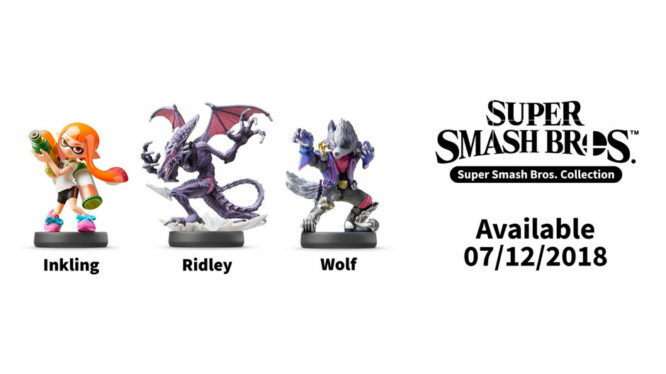 The first set includes Ridley, Wolf and a new Inkling Girl amiibo and is set to release December 7th, 2018 with Super Smash Bros. Ultimate. 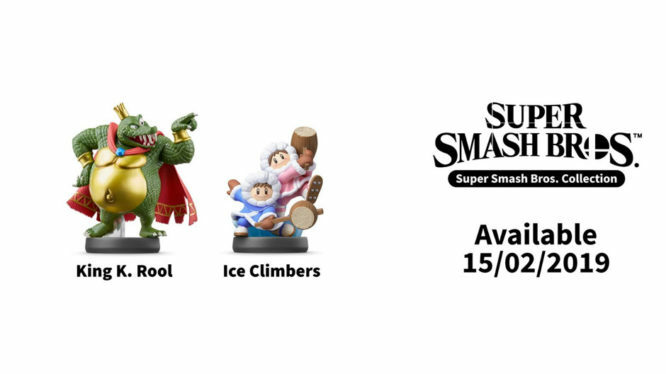 The second set, which includes amiibo for King K. Rool, the Ice Climbers and bonus fighter Piranha Plant, will be available starting February 15, 2019. 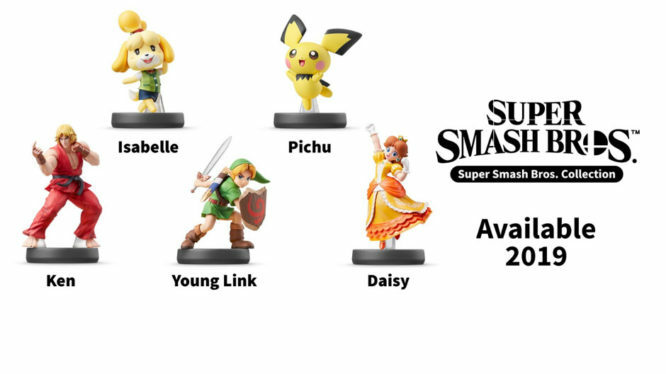 The final set announced today has no official release date aside from “2019”, but will include Pichu and Ken alongside new amiibo for Isabelle, Young Link and Daisy. The announcement came during today’s Nintendo Direct where the company gave us a ton of new information on Super Smash Bros. Ultimate. In addition to confirming Ken and Incineroar as the last two fighters coming to the game at launch, Nintendo also confirmed plans for paid DLC coming to Super Smash Bros. Ultimate and unveiled the game’s new “Spirits” mode. Fans looking pre-order the game can do so now physically or on the Nintendo eShop from now until December 9th to get double the Gold Points for your Nintendo account. Fans who purchase the game and claim your My Nintendo Gold points by January 31st will receive Piranha Plant as free DLC. Super Smash Bros. Ultimate launches on Nintendo Switch on December, 7th 2018.